The Rebel Sweetheart. : One FC: Warrior's Way | Roger Gracie returns to MMA action. 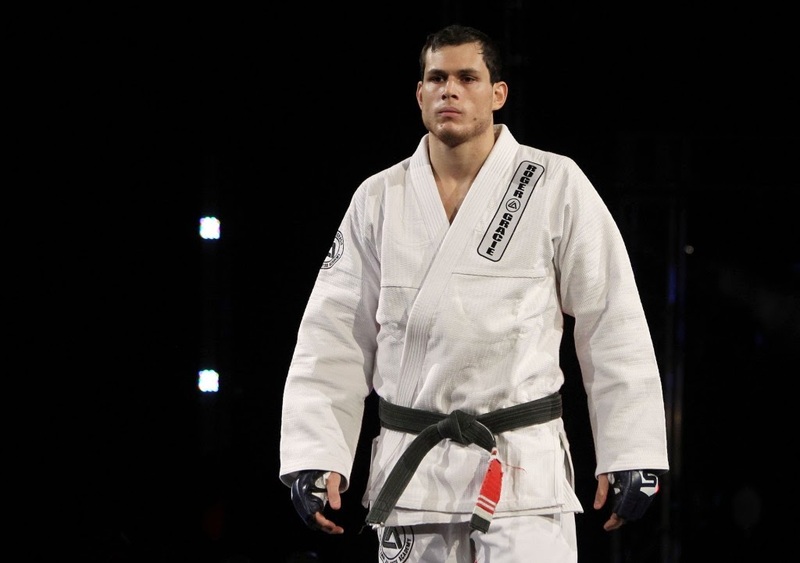 One FC: Warrior's Way | Roger Gracie returns to MMA action. When you think about fighting families in the world of mixed martial arts, only one name comes to mind. That is the legendary Gracie family, who were the inventors of the martial art of Brazilian Jiu-Jitsu. They will now send one of their greatest descendants to do battle in the world-renowned One FC cage. The representative is multiple-time world grappling champion, Roger Gracie. Roger Gracie gearing up for his One FC debut. Roger Gracie is set to make his long-awaited debut for One FC on 5 December in Manila when he takes on knockout artist James McSweeney. McSweeney has professional kickboxing experience and will look to demonstrate his striking prowess against the grappler Gracie. Since coming to One FC, McSweeney has destroyed both light heavyweight and heavyweight opponents via knockout. This is a clash of two high profile athletes in the sport today. Roger Gracie is an icon of the grappling world. He is the grandson of Carlos Gracie, the creator of Brazilian Jiu-Jitsu. In 2005, he won both the heavyweight and absolute division tournaments at the prestigious ADCC Submission Wrestling World Championship. He also won all of his bouts at the 2009 Mundials and have never been submitted in competition in more than ten years. He also has an impressive mixed martial arts record, notching up six victories thus far. After his last bout a year ago, he was prepared to walk away from mixed martial arts. However, after speaking with a few close friends and One FC executives, he decided the itch for competition remains and decided that now was the time to come out to Asia to create a legacy. Another Gracie in One FC! "I am happy to sign with One FC. I had given up in fighting MMA, decided to go back to jiu-jitsu, but I got this offer and it changed my mind," Gracie said. "I’m going to do a few more MMA fights, and I still want to compete in jiu-jitsu." He now teaches and owns an academy in London, England. Gracie has seen his cousins Igor, Gregor and Rolles Jr. all achieve mixed results in the One FC cage and is determined to do the legendary family proud by letting the world witness a Gracie become world champion once again. He has announced plans to compete at two weight classes and want to reign supreme at both classes.